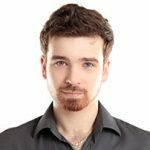 V2 Cigs E-Liquid Review | A Premier E Juice Provider? By now, if you have been an e-cig user or are have already started the research process, you have likely heard about V2 Cigs. They are everywhere, and rightly so. They are one of the most, if not the most, respected e-cigarette companies in the world (and that’s certainly true here in the UK). Though we aren’t downplaying their work in achieving this success, it’s actually rather simple how they grew so quickly. 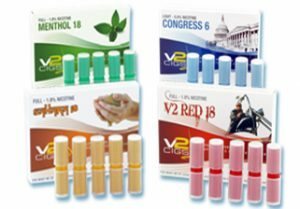 While most e-cig companies are looking at bottom line figures (which essentially means cheaper quality), V2 Cigs took the opposite approach. They not only offer the best quality in regard to e-liquid ingredients, strength, taste, flavour and purity, but they have always been transparent about their manufacturing process. This has been the ultimate game changer, especially at a time when customers are increasingly looking at what exactly is in their e-liquid. Arguably the most important aspect of vaping is e-liquid quality. Actually, we take that back. Quality is, without a doubt, the single most important factor for vapers worldwide. For starters, when people decide to make the switch to vaping, they want top of the line e-liquid for a perfect vaping experience. Secondly, as the governments and media across the world have focused a lot of their attention on scaring the public into believing that e-liquids are bad for you (directly because of the hundreds of inferior e-liquid companies out there), many people have become curious as to what they’re inhaling. The TPD ruling effectively shut this down by forcing all e-liquid providers to publish their ingredients. We won’t get into it here but let’s just say that there were many eye-popping facts that shed light on the shady practices of many e-liquid manufacturers. And that’s the beauty of V2 Cigs e-liquid. From the get-go, we have known what ingredients they use and how they make it. Each individual V2 e-liquid has been intensively tested in a lab in order to ensure maximum flavour, strength, consistency, and purity. In fact, every e-liquid has a batch number on it, which tells you the manufacturing date along with all of the other essential details. Furthermore, many e-liquid companies offer e-liquid that give off a terrible metallic aftertaste. This isn’t the case, at all, with V2 Cigs e-liquid. The taste and overall quality lasts until the very end, which, even nowadays, is a rarity. Overall, you will be hard pressed to find better e-liquid quality than what’s on offer with V2 Cigs. While we have found that standard 10mL bottles of e-liquid cost, on average, £5 per bottle, V2 Cigs e-liquid is a bit more expensive. Their 10mL bottle of e-liquid will cost you £6.99. We would like to point out two things here. 1) You get what you pay for. 2) Percentage wise it is in fact a large increase over the industry average, but overall, it’s not going to break your bank. Even if you are a heavy vaper, a 10mL bottle of e-liquid will last you roughly 3-4 days. That’s 10 bottles per month, or about £20 more per month that you will be spending on V2 Cigs e-liquid. In this case, because the quality is so superior to virtually every other brand on the market (with the exception of Pure E-Liquids and Apollo who come close to V2 Cigs e-liquid) and because e-liquid will hands down make or break your vaping experience, we strongly encourage vapers to spend the extra £2 on a 10mL bottle. V2 Cigs also offered 25mL and 50mL bottles of e-liquid but this is now irrelevant as the TPD comes into effect (the law, regrettably, is that no e-liquid bottle can be larger than 10mL). All of the above flavours come in nicotine strengths of 0mg, 0.6% (6mg), 1.2% (12mg), and 1.8% (18mg). V2 Cigs used to offer 2.4% (24mg) nicotine however the TPD also limited nicotine levels to a maximum of 20mg. Oh, and one more thing. All V2 Cigs flavours are TPD compliant so you never have to worry about your favourite e-liquids getting dismissed by the UK government. In addition to all of this, V2 Cigs has now gotten into the CBD oil industry. This has become an emerging trend, specifically here in the UK, and V2 Cigs has put out fantastic options – CBD oil for vaping and CBD oil drops (not for vaping). Their CBD oil is completely organic, is 99.9% pure and natural, is prepared in a clean room lab, it’s made 100% in Europe, it’s 100% vegetarian, it has only pharmaceutical grade ethanol, is eco friendly, is gluten free, is completely GMO free, and has of course been supervised and manufactured by chemical engineers to ensure consistency and safety. If you are interested in learning more about V2 Cigs CBD oils, you can see them here. If you’re a long-time reader of E Cigarette Reviews UK, you know that we love customization. However, since the TPD’s arrival, companies are limited in innovation and especially customization. This hurts every e-liquid company in the UK, however it doesn’t affect V2 Cigs all that much. Their quality is held in such high regard that most vapers don’t need customization options. The flavours on offer are widely considered the gold standard of the industry. If for no other reason at all, you should give V2 Cigs a shot simply for their e-liquid range.